Hey guys, are we Catholics or are we cowards? When are we gonna get our act together and organize some resistance to the violent, pagan Evil Empire which threatens everything we hold sacred? It has been done before and can happen again. This entry was posted in Civil Disobedience, Militarism and Christianity and tagged Catholic Solidarity on October 15, 2015 by Doug Fuda. The U.S. paved the way for the rise of ISIS and the destruction of Christianity in the Middle East by its multiple interventions and especially the 2003 Iraq invasion. And now the evidence is building that the current situation was considered desirable by some. Here is a link to an excellent article from Brad Hoff at the Levant Report. (I find their work very informative and compelling). 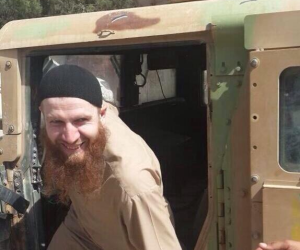 Another story by Brad Hoff details the rise of Abu Omar to be one of the top ISIS commanders. In effect U.S. policy was ironically successful in killing two birds with one stone. Provoking the Russians on the one hand and training one of the most formidable terrorist leaders of ISIS on the other. Are the people who do this profoundly stupid or are they profoundly evil? Living in a city that has twice been involved in terrorist attacks which were clear incidents of “blowback,” I’d like to know the answer to that question. Now President Putin and the Russians have apparently had enough and are beginning to push back. Regardess of what one thinks of Mr. Putin, what he said recently at the United Nations is a scathing and thoughtful critique of US policy. What should Catholics say or do about this catastrophic situation? Come home America, come home. This entry was posted in Militarism and Christianity, War and Peace on October 5, 2015 by Doug Fuda. If you live in the Boston area, here is your chance to get involved with Catholics Against Militarism. Below is a copy of the email I sent out recently advertising our new Meetup group. I ask anyone who visits our website to think about friends or family they have in eastern Massachusetts who might be interested and inform these folks about our efforts. Thanks. 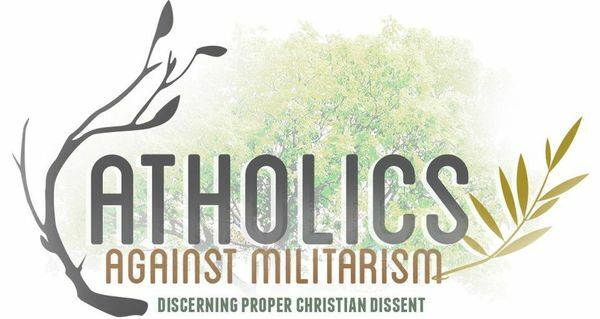 Please check out our new meetup and join us if you want to help fight American militarism and its influence in the Catholic Church. We’ll try to meet face to face on a regular basis for discussions and brainstorming, and hopefully we’ll eventually be able to organize forums, debates, teach-ins, etc. to get out the anti-militarism message and build Catholic solidarity in the Boston area. And here are a couple of recent articles that are very topical. Do Heroes Go to Heaven? by my co-blogger Cammy who is one of the founders of CAM. “America is the seat of power for the modern-day Roman Empire. What happens in the U.S. happens all over the world. It is our entertainment media, our language, our philosophy, our news, our culture, our cultural suicide that has been transplanted all over the globe.” — Michael Voris on The Vortex. This entry was posted in Uncategorized on October 3, 2015 by Doug Fuda.